Continue to serve with a rewarding career in organic agriculture. Are you a military vet ready for a change? Learn how to farm while you farm. The Veteran Farmer Training program with Rodale Institute will prepare you for a successful career in organic agriculture. Learn through personalized, hands-on experiences and get access to Rodale Institute’s deep network of industry professionals and experts. Through field trips, workshops, speaking engagements, and more, you’ll learn the fundamentals of organic farming. This program takes place on our 333-acre certified organic research farm in Kutztown, PA. The General track is a flexible, two-month training that provides a broad education in numerous areas of the farm including livestock, vegetable production, treatment-free beekeeping, and more. This option is ideal for veterans wanting to learn the basics of many different topics. Trainees will receive a stipend and housing allowance, or the option for on-site housing. The program is split into two training sessions: April to June and July to September. The Focused track allows veterans to participate in either the vegetable production internship, or livestock internship. This option is ideal for veterans who intend to specialize in farm-share style vegetable production or livestock operations. Veterans who are accepted into the focused track will have access to on-site housing and receive a weekly stipend. The Focused track can be completed in 4-8 months. 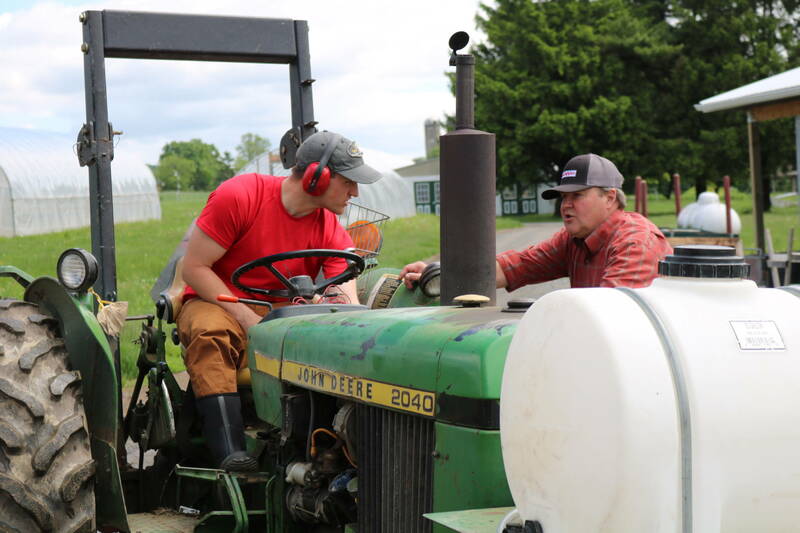 Support Rodale Institute’s Veteran Farmer Training Program.